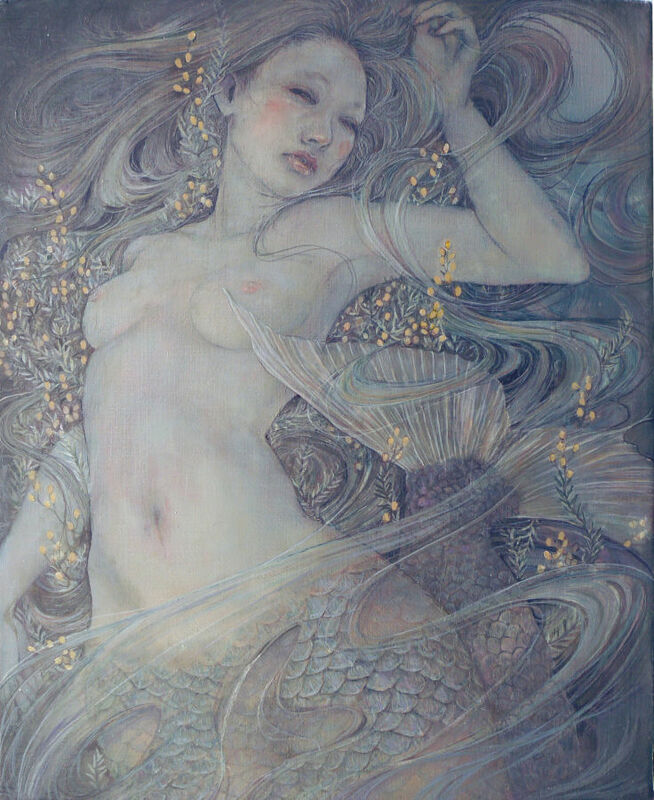 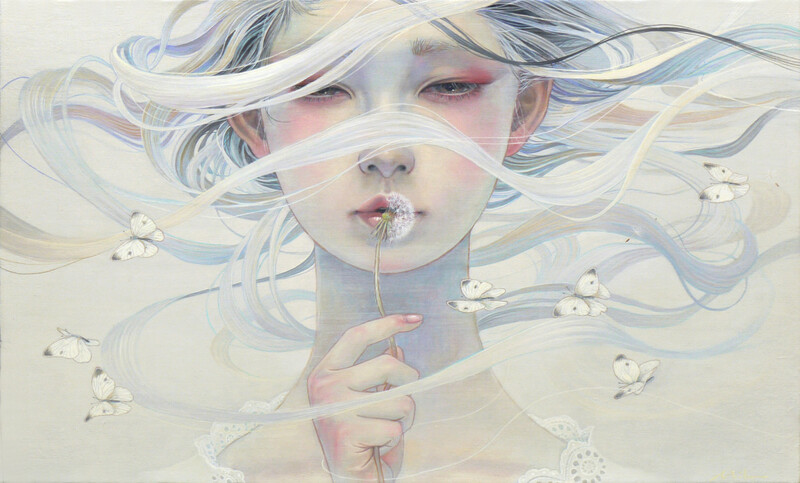 Miho Hirano est diplômée de l’Université Musashino Art. 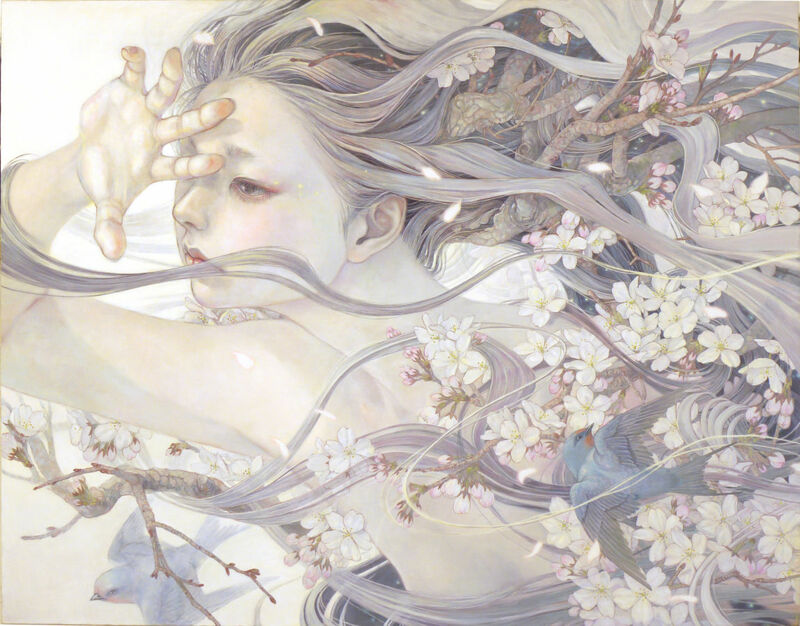 Ses peintures représentent des femmes fragiles, rêveuses qui semblent fusionner avec la nature, les cheveux flottent dans des branches d’arbres fleuris, entourées d’oiseaux, ou d’algues. 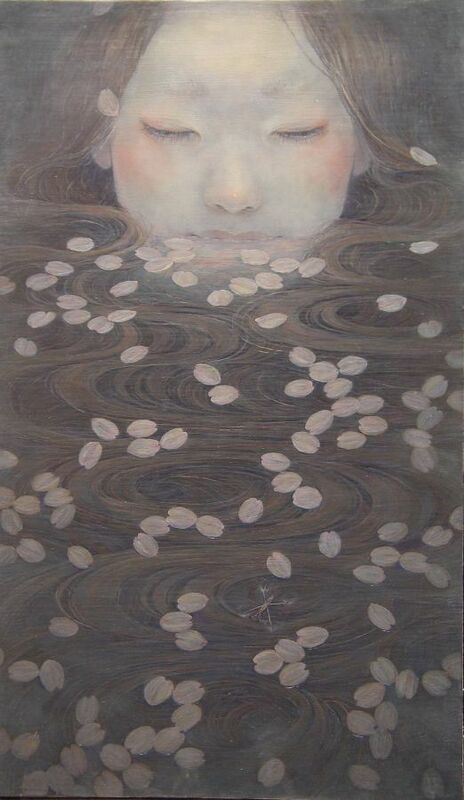 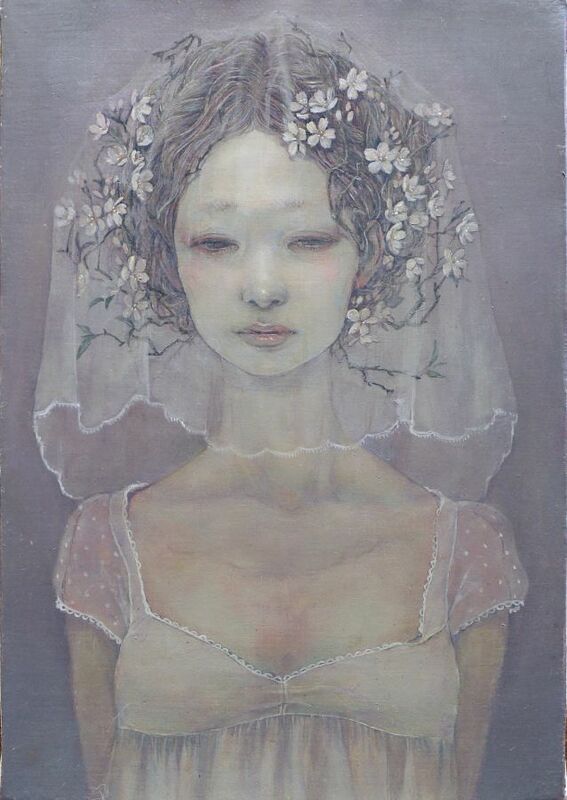 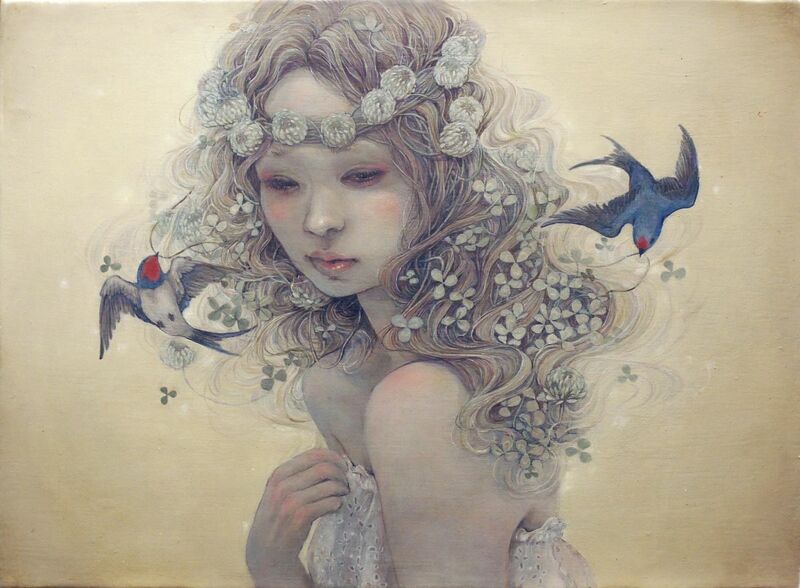 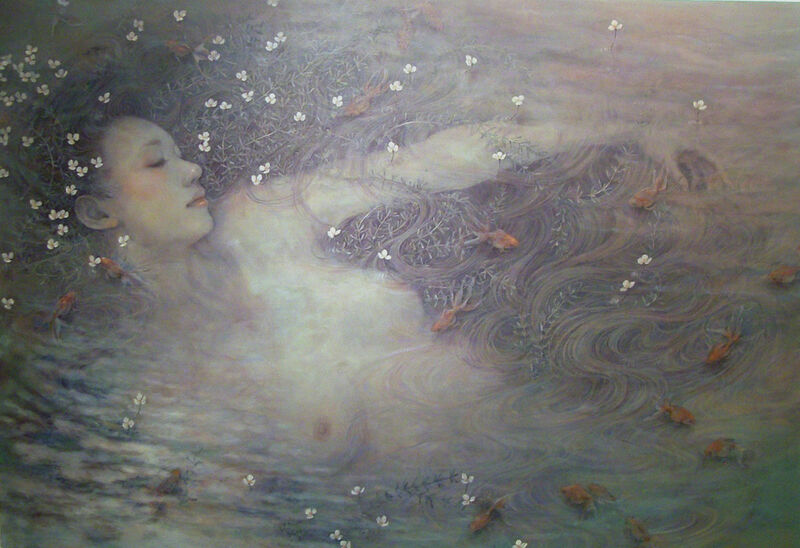 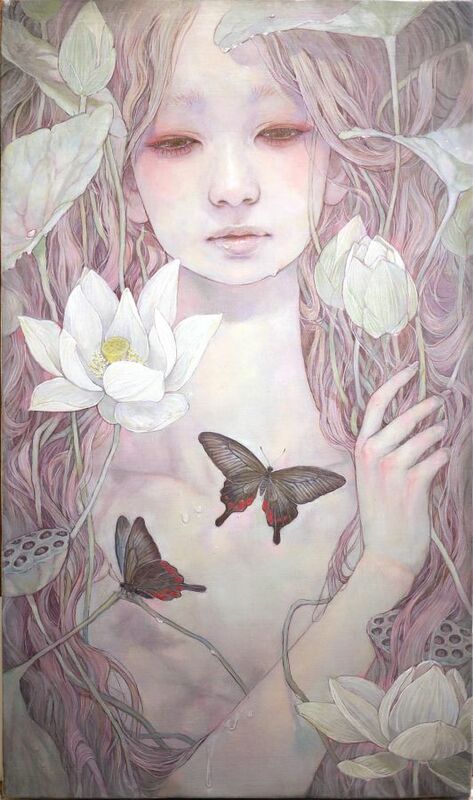 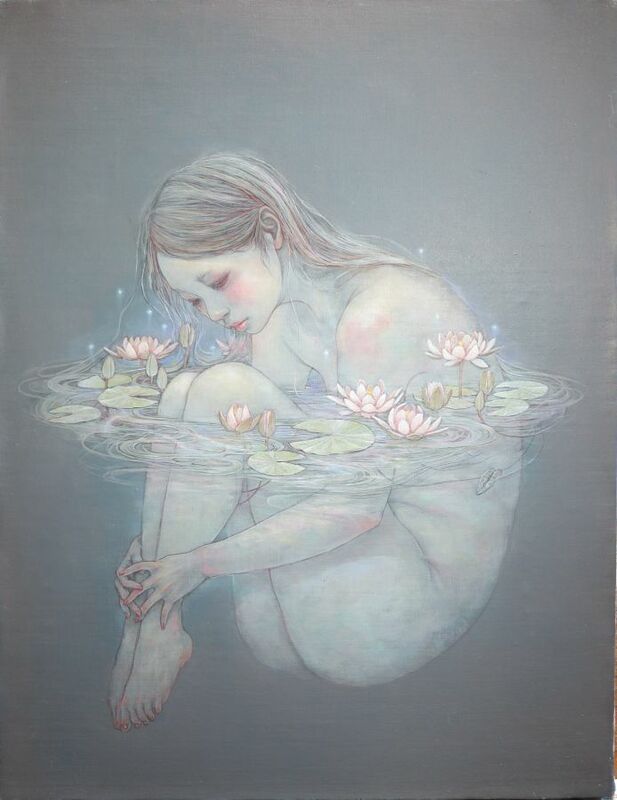 Miho Hirano, graduated from Musashino Art University. 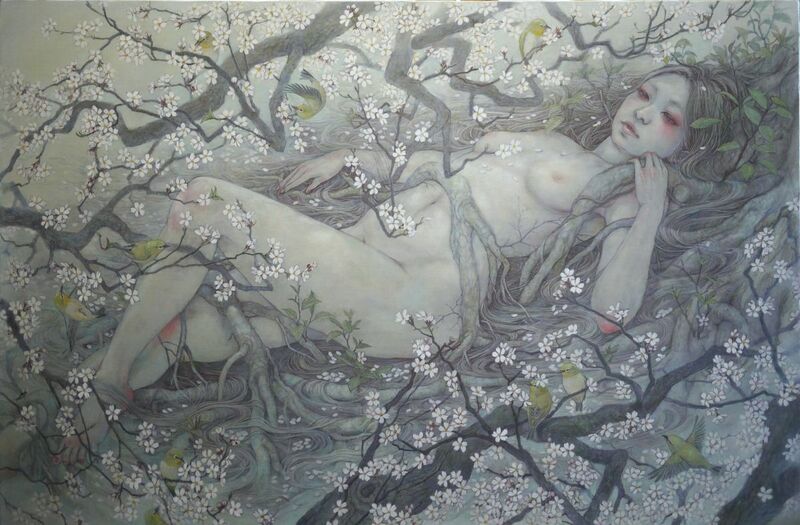 Her fantasy art is inhabited by ephemeral women who seem to be merging with their environment, the hair suspended into flowering tree limbs, bird filled bushes, and drifting seaweed.